Federal student loan borrowers have the opportunity to seek a discharge (forgiveness) of their loans if they become totally and permanently disabled. You might think that if you have been qualified for Social Security Disability (SSD) that this would be a dead lock; unfortunately, that is not true. The U.S. Department of Education has a procedure and application process for borrowers seeking to have the loan forgiven. Under it, borrowers with student loans could apply for forgiveness on the grounds of disability, but the forgiveness rules do not recognize a Social Security Disability Award as proof of total and permanent disability. The Department makes its own determination of a borrower’s medical or mental health disability. So What Happens This Summer? However, the feds are now streamlining the process and, starting on July 1, 2013, they will now use a common disability forgiveness procedure for all of its student loan programs rather than a different procedure for each. More importantly, a disabled borrower can now include a copy of his Notice of Award from Social Security as proof of disability. Although this is very good news, and shows a more enlightened approach, there are a couple of provisos to this. First, forgiveness only applies if Social Security determines that you are subject to a continuing disability review every five to seven years, as opposed to every three years. This is because SSD claimants approved under a three year continuing review status are not considered totally and permanently disabled by the Department of Education, where as SSD claimants on a 5 to 7 year review schedule are deemed more severely disabled. Second, Social Security does not routinely include in its Notice of Award whether a claimant is subject to a 3 or 5 year review. A 3 year review case is one where medical improvement is likely and the claimant has a good chance at improving sufficiently to return to work. A 5 year review case is one where medical improvement is not likely. Presumably SSA awards will now include this information in its awards. No matter what, this is good news for federal student loan borrowers who are on Social Security Disability. If you are in this situation, once the new procedures are announced, you should apply for this discharge. 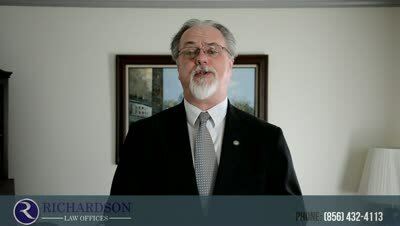 If you are on SSD, live in southern New Jersey, and have federal student loans, call my office at 856-432-4113 or contact me through this site to schedule an appointment in my Woodbury office to discuss your case. Can my federal student loans be discharged if I become disabled? Can a federal student loan be discharged if the borrower dies?